(Brian Maffly | The Salt Lake Tribune) Abandoned mines in Mary Ellen Gulch have been discharging heavy metals and acidic groundwater into American Fork Canyon for decades. A new EPA report is highlighting concerns of toxic exposure as the canyon's popularity with recreation enthusiasts has increased in recent years. 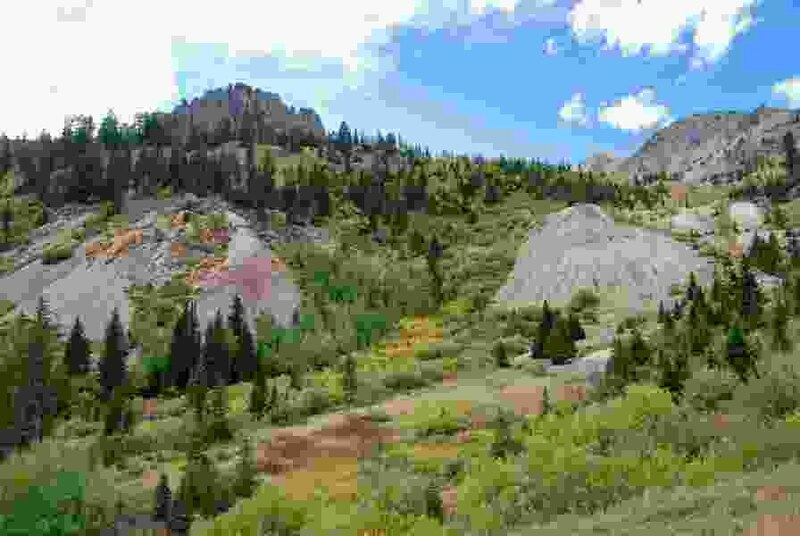 Federal officials worry about the increasing popularity of American Fork Canyon, where they say contaminated soils could pose a health risk to frequent hikers, campers or ATV riders. According to a report by the U.S. Environmental Protection Agency, soil samples collected near historic mine sites in the upper American Fork Canyon contained high levels of arsenic, lead, mercury and other harmful metals. Tests of all the samples measured arsenic in concentrations 27 times higher than standard EPA screening levels, according to the report completed in March. Levels of lead also exceeded EPA standards levels at all sites, the report said. Of the abandoned mines in question, the Yankee and Globe tailings piles pose the greatest potential for exposure to recreation enthusiasts, according to the report. But, for now, the sites do not present a threat to any residential areas, and tests indicate water quality through most of the canyon was acceptable. Federal agencies have been aware of the soil contamination for several years, one EPA official said, but assumed the mines and surrounding lands were relatively inaccessible and didn’t pose a significant threat. That has changed, said Ryan Dunham, a regional site assessment manager for the EPA, amid the canyon’s rising popularity for recreation. The critical health concern, Dunham said, is exposure to dust — metals can be inhaled during activities that kick up the contaminated soils, such as riding an ATV. But thus far, nobody appears to be planning to clean up the sites. Many of the areas in question, Dunham said, were already marked with signs posted by Snowbird Ski and Summer Resort, which owns some of the properties, and he urged residents to heed those warnings. A Snowbird spokesman confirmed resort workers posted the signs last year and plan to add more this summer, in collaboration with recreation groups. The goal, he said, wasn’t to restrict access to popular parts of the canyon but to provide alternative routes to those areas that minimize possible exposure to heavy metals. “There are certain rock piles that you shouldn’t hike on, that you shouldn’t take a four-wheeler on, that you shouldn’t take a Jeep across,” Snowbird’s Brian Brown said. In addition to EPA’s water testing, Brown said, Snowbird is close to completing a two-year study to determine if toxic metals are leaching out of soils and into the American Fork River or other downstream waterways. So far, he said, that effort has found only one area with elevated levels of zinc, which poses a potential threat to aquatic life. “So we’re pretty happy about that,” he said. Snowbird has no immediate plans to expand into tainted portions of the canyon, Brown said, and so removing the contaminated soils is not currently a priority. State officials are still focused downstream on the cleanup of an August 2016 spill from Tibble Fork Reservoir, which released an estimated 5,000 cubic yards of sediment found to contain high levels of heavy metals, according to Scott Anderson, director of the Utah Division of Waste Management and Radiation Control. Those tainted sediments are thought to have accumulated at the bottom of the reservoir over time. American Fork River flows through several populated areas, but it’s unclear how far or for how long contaminated sediment may have spread through the waterway. Anderson indicated the state has no plans to try to determine whether irrigation water may have contaminated residential areas. The EPA plans to return to the canyon later this year to conduct further tests. In addition to gathering new data, Dunham said the agency wants to verify that the water remains uncontaminated.